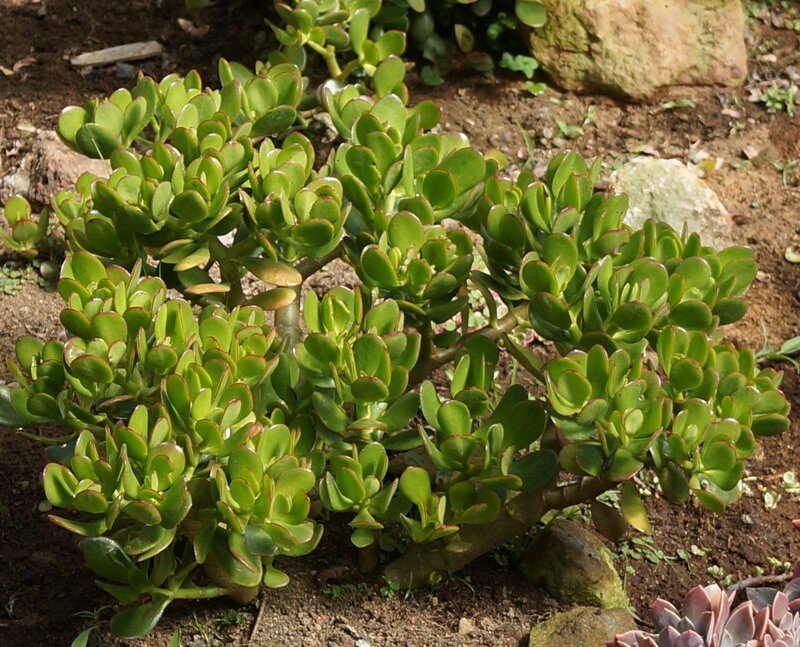 This is the first succulent garden in Panama. 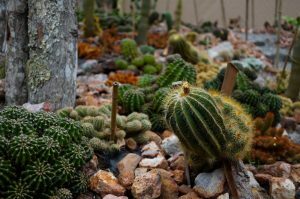 It was inaugurated in the year 2019 for the pleasure of succulent lovers and fans. 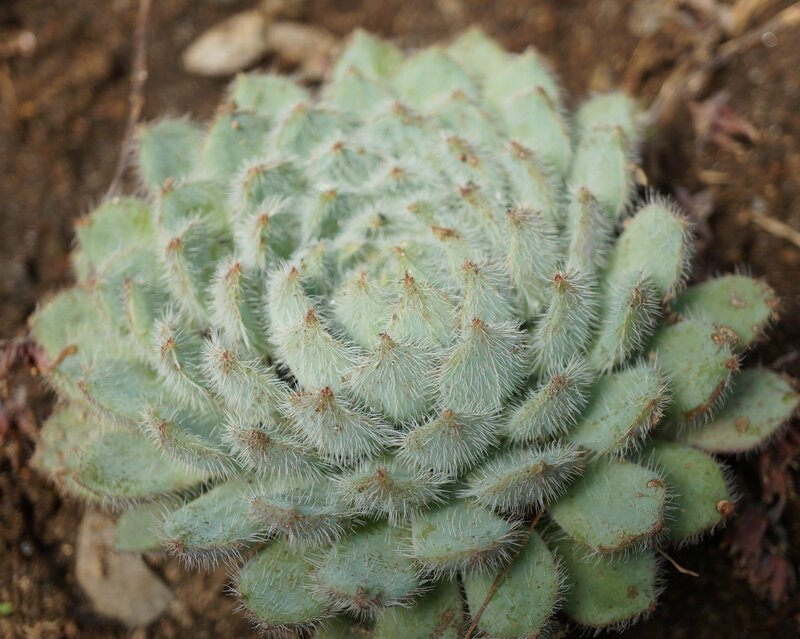 Succulents are very adaptable plants that can survive extreame climates but they don't mind living here in paradise, actually they grow much better. 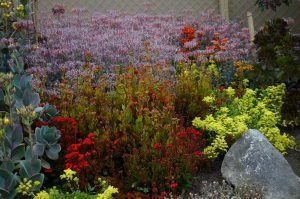 Here you can see the diversity of succulents with all their shapes, textures and colors plus they are constantly filled with flowers of all colors. Come and check them out! Mrs. Gloria de Maduro, with or Finca Dracula's founder (Andrew Maduro), loved plants but didn't want to compete with his orchids so she collected everything else. 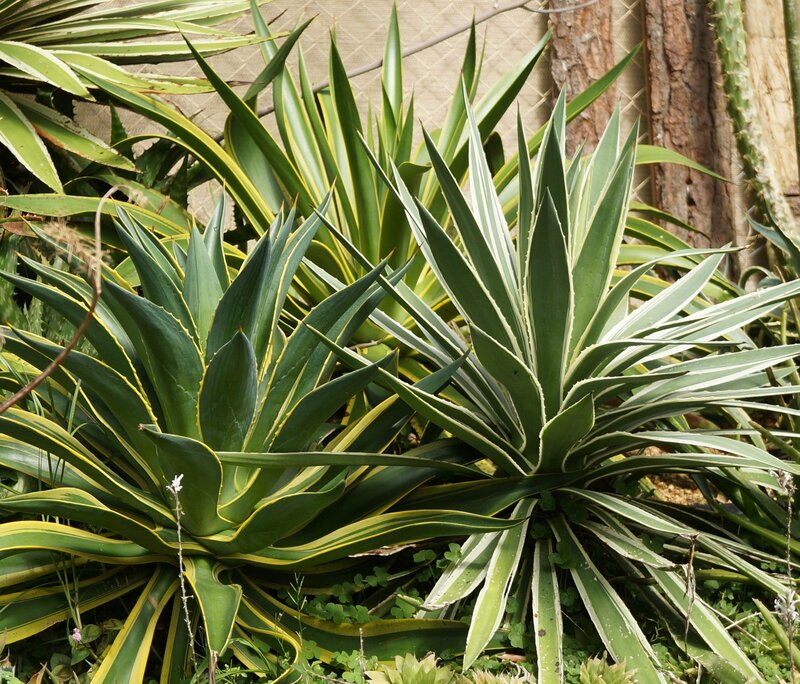 After many years looking for the rarest and most interesting plants her collection got bigger, particularly, her succulent collection. She would take those plants proudly to gardening club competitions winning many prizes but they would always come back damaged from the trip so she and her son Andres finally decided to build a garden dedicated to house these plants. 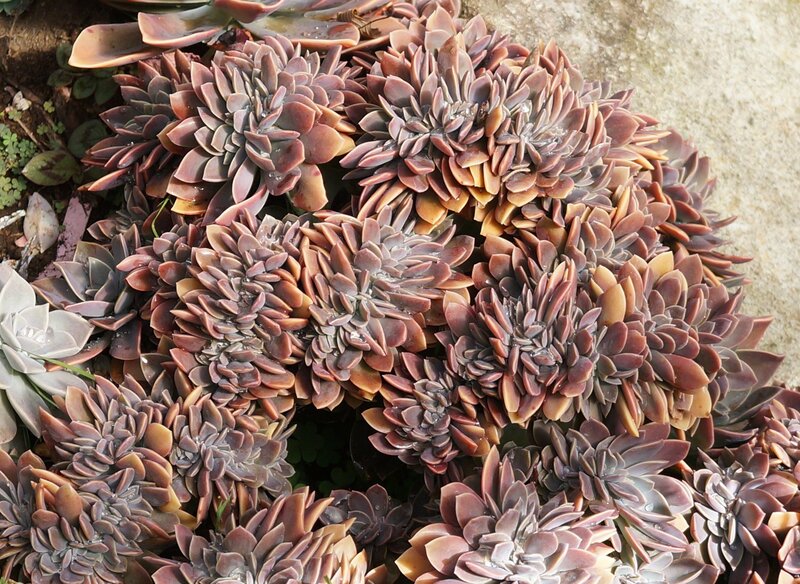 It would also provide inspiration to succulent lovers in Panama who have never seen one of these gardens before. The first task was to build a plastic roof to keep the rain away. 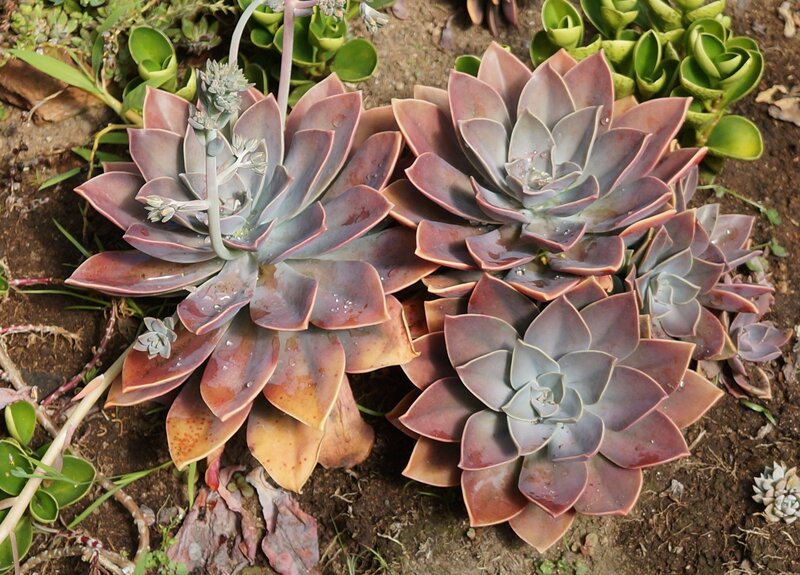 Cerro Punta is one of the rainiest regions of Chiriqui and succulents rot quickly from the excess water. 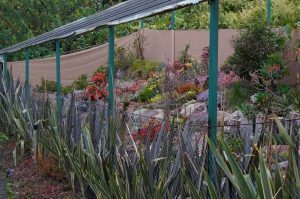 Then a geotextile was added to the ground to keep weeds from competing with the slower growing succulents. 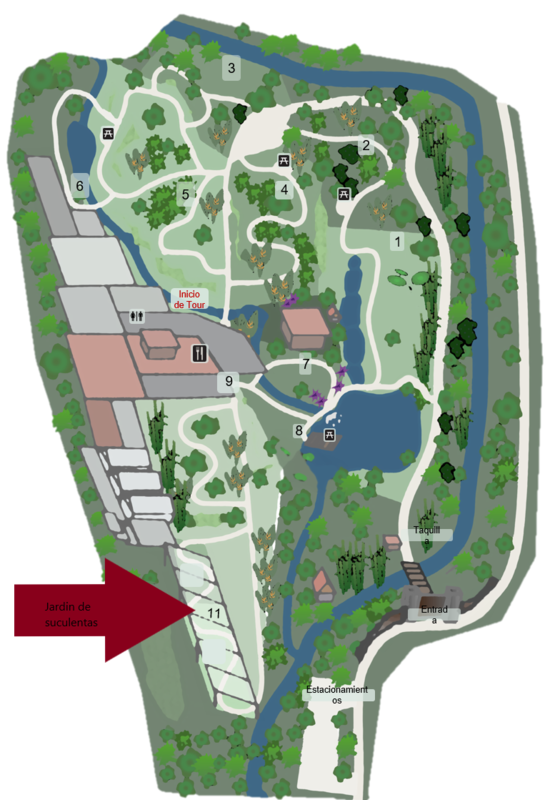 This organization allows visitors to easily appreciate the diversity of shapes and colors within each of these plant groups. 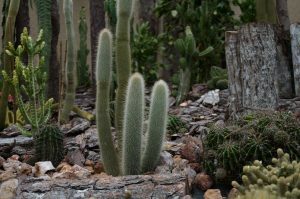 The landscape was made to emulate the arid ecosystems from which these plants originate which also creates a sharp contrast with the lush forested gardens of Finca Dracula. Growing sucuclents requires patience, attention, and dedication. This is most important in the watering since the high humidity here can make the plants go south very fast. 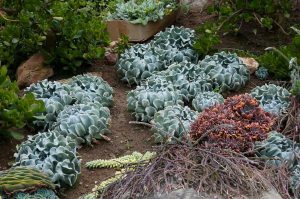 In many instances plants had to be moved to find a spot they would like more and to keep the faster growing ones from completing with the slower growing. Plants are watered manually although this will probably change in the future to a sprinkler system. 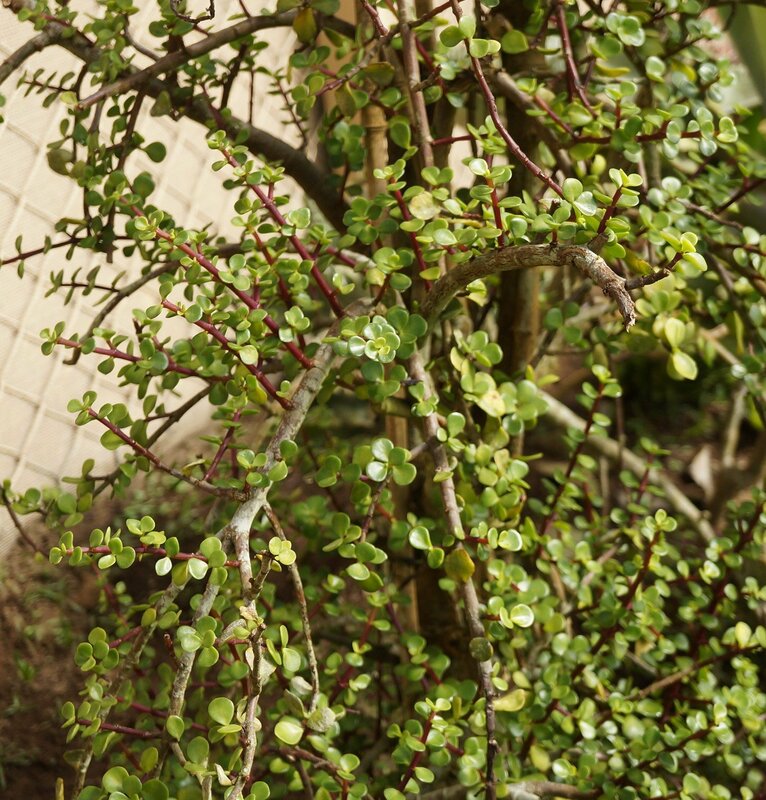 The water is always dozed with the same fertilizer used in orchids which allows the plants to get a small amount of fertilizer in every watering and avoid burning the plants with lots of fertilizer or when they dry out. It also helps keep them strong against diseases. 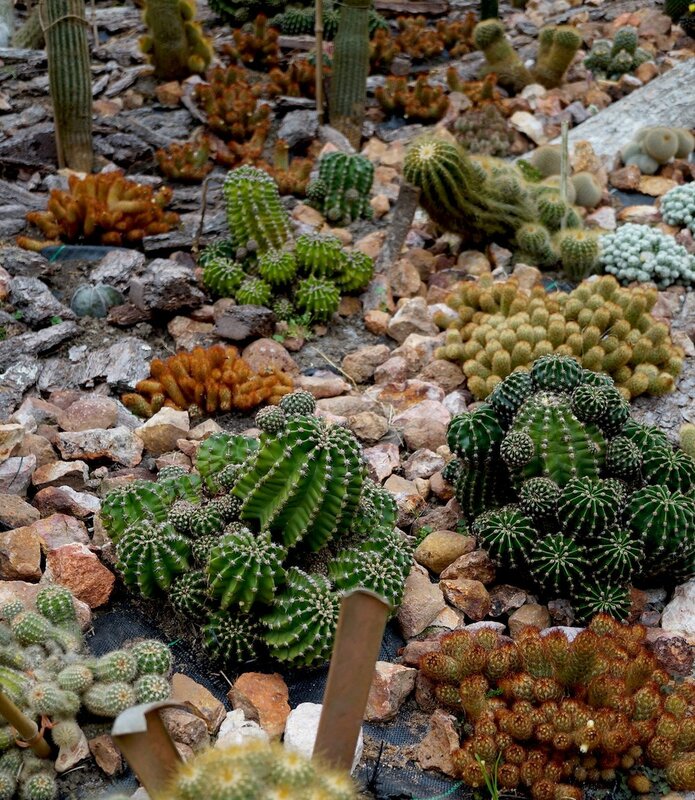 Cactus and other succulents adapt pretty well to a wide range of environments. The cold temperature of Finca Dracula combined with the bright sun makes the plants vibrant and pretty. 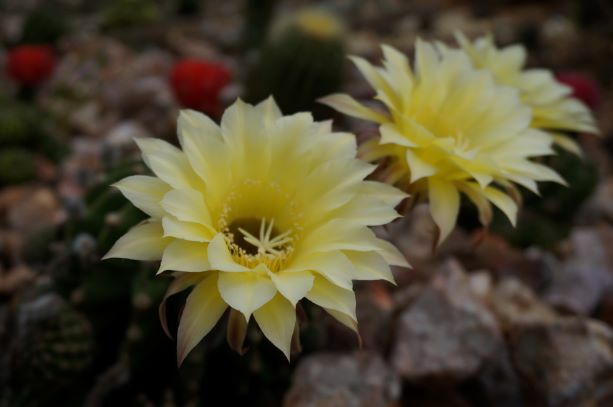 We were actually surprised of how fast and healthy they looked and they completely surpassed our expectations, many cactus have tripled their mass in just one year which is amazing. Another unexpected development was the amount of flowers. 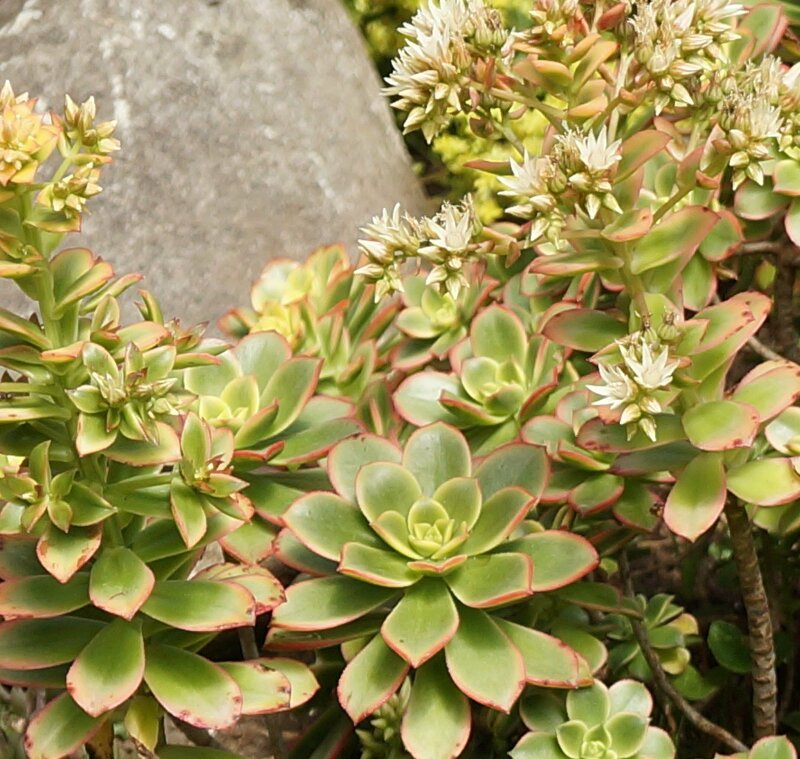 Most of the plants have flowered at least once. 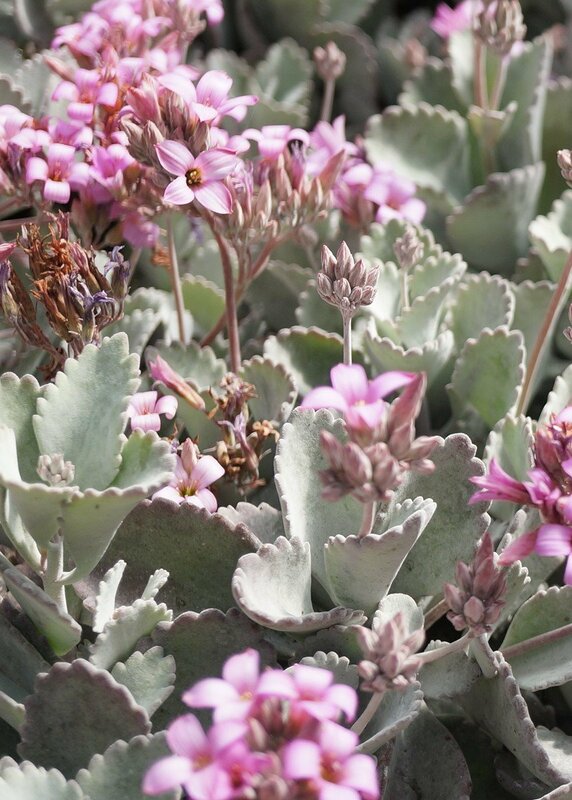 Crassulaceas and Aloes are basically in bloom year round, Cactus are blooming intermittently all the time and it seems like Kalanchoe have conspired to bloom together because their section is covered in a blanket of flowers that leaves us speechless.